Why news coverage matters to you. Candidates may be the official spokesperson for a group or they may be sought after for their original ideas and expertise on a variety of topics. For instance, Gaetan is a frequent commentator on urban affairs on CBC. Royer said the expected population increase, from the current 35,000 to nearly 50,000, will bring with it issues that he doesn’t feel are addressed in the OCP. He suggested the OCP should be more employment-focused to widen the tax base. Mayoral candidate Gaetan Royer said he opposes the current OCP and would re-open the document if elected. “It is a flawed plan. It is a plan that does not protect the interests of the residents,” he told the Tri-Cities NOW. 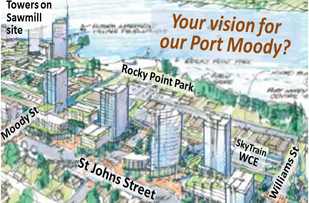 Royer said he envisions a plan that includes low-rise business development around the SkyTrain station in Moody Centre, suggesting that would create space for high-paying jobs and alleviate the burden of a bulging population and the need to create recreation programs. Click here for the full article. CBC Radio Canada. 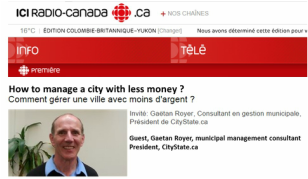 Gaetan is a frequent commentator on urban affairs on CBC. 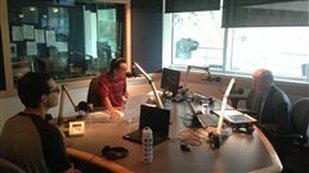 On October 10, 2014, Gaetan Royer and Jordan Bober were panelists interviewed by Francis Plourde to discuss Vancouver's Greenest City by 2020 initiative. One of the key points I made: "Given the economic context in 2008 when construction starts dropped to a record low, it was very courageous for the City of Vancouver to launch its greenest city initiative. It proved to be extremely successful. The best elements of the plan were the protection of employment zones and the goal to create 10,000 green jobs." Columbia Institute. 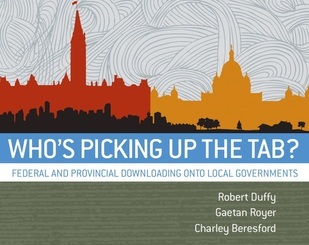 Gaetan is the co-author of this important study documenting the downloading of responsibilities from federal and provincial governments onto municipalities. This report attracted significant media attention. Click here to read the Vancouver Sun article. That got me thinking... Hey Minister of Downloading, can you explain to us how you planned to sustain this program in the long term? By letting cities pick up the tab? 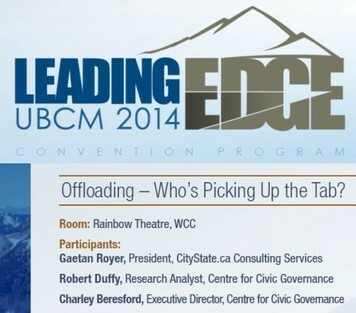 Gaetan will address Mayors and Councillors from across BC at the 2014 Union of BC Municipalities convention (UBCM). 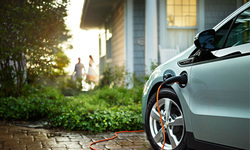 innovation and establishing best practices." Gaetan will join Robert Duffy and Charley Beresford from the Centre for Civic Governance. Gaetan is co-author of a report that will be released at UBCM. 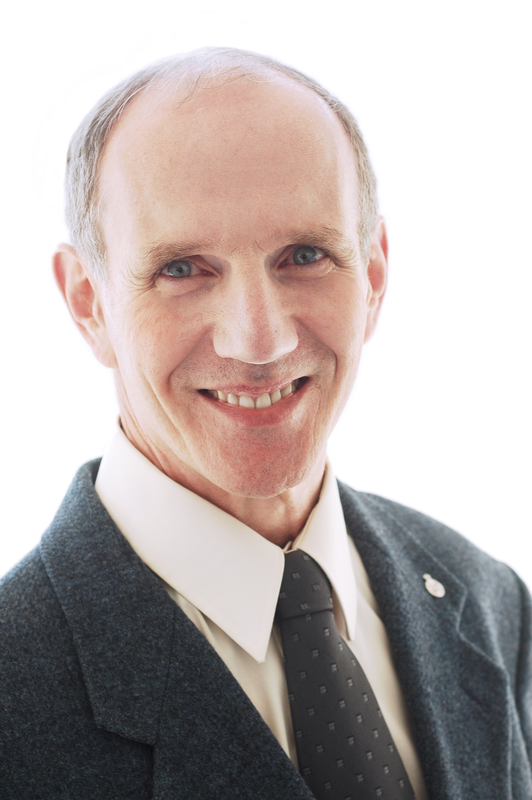 Gaetan is a frequent speaker at national and international conferences including the International Property Tax Institute, Federation of Canadian Municipalities, World Urban Forum and other respected organizations. 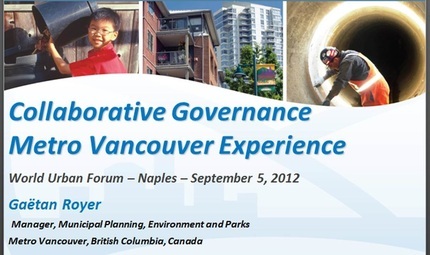 Locally, Gaetan has been invited to speak at Capilano University, UBC and SFU as well as many municipal organizations. The topics Gaetan has been invited to speak about include municipal finance, planning, parks, asset management and human resources. Gaetan Royer is concerned that the OCP has been stripped of any measurable elements like density. The OCP does not specify the amount of green space required to serve the needs of new and existing residents. Gaetan Royer wants to protect the community's interest by inserting key numbers back in a better plan. Read Mr. Brandhorst' letter to the editor here. Recreation & Parks BC Magazine. As keynote speaker, Gaetan was asked to energize BC communities into action. 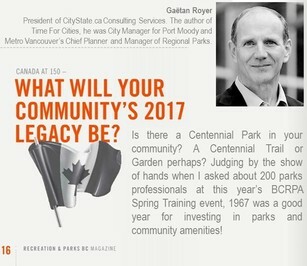 The goal of his speech at the 2014 BC Recreation & Parks Association forum was to encourage all BC communities to start planning NOW their legacy projects and 150th celebrations. His presentation reminded the 200 parks professionals in attendance about the visionary investments made by communities prior to Canada's 100th in 1967 (e.g. Centennial School). In this well publicized article, Gaetan presents a range of ideas, big and small, to mark this important anniversary. He urges all BC communities: "Don't wait until 2016 to realize that every community around yours has big plans in place." 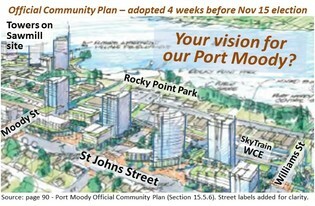 If Port Moody fails to plan its 2017 legacy project early enough, we may miss out when government grants are announced. How should Port Moody celebrate Canada 150? Read full article here. Globe and Mail. This is a feature about Gaetan's big idea of turning the old Port Mann Bridge into a Greenway. The idea took off and led to interviews by a dozen media outlets. The first article - which triggered pretty incredible public interest - is here. May 2014. 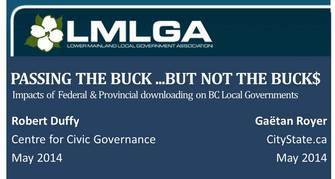 Gaetan Royer joined Robert Duffy, Centre for Civic Governance, to share preliminary results from an important survey and research into the impact that Federal and Provincial downloading of responsibilities has had on BC Local Governments. The audience consisted of Mayors, Councillors and School District Trustees from across BC's Lower Mainland. 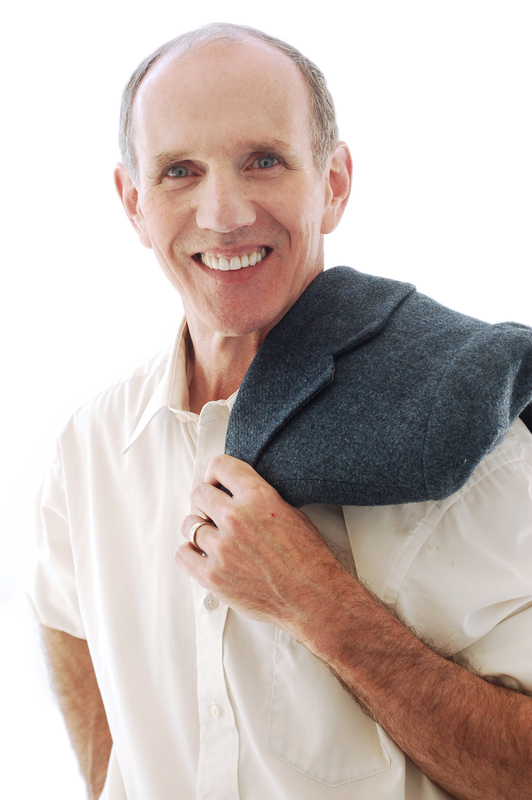 Gaetan is a strong advocate representing the interests of municipalities. As a speaker at the 2012 World Urban Forum in Naples, Italy, Gaetan Royer made a presentation on Collaborative Governance to a large international audience. This was a great opportunity to connect with colleagues from Russia, Brazil, France and from around the world. Building Sustainable Communities. Kelowna, 2012. Gaetan Royer was invited to make a presentation on green buildings and sustainable development at a Western Canada conference held in Kelowna, BC. The Fresh Outlook Foundation (FOF) is a registered charity with a passion for building sustainable communities through conversations that inspire positive change. Times Colonist. 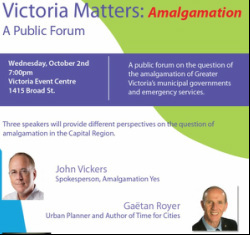 This is a Times Colonist (Victoria's daily Newspaper) guest column about amalgamation of municipalities in BC's Capital Regional District, an initiative led by a Victoria-based business group. "For taxpayers in big merged cities, the new normal is big bureaucracy and ill-informed call-centre attendants." A bigger municipality isn’t better, just bigger. Read the full article here. MMCDA. BC 2010 presentation to Civil Engineers and Facilities Managers organized by MMCD (Master Municipal Construction Documents Association). The full presentation can be viewed here. 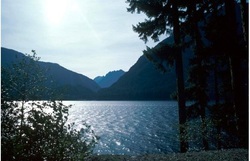 The MMCDA originated with the BC Road Builders and Heavy Construction Association, the Consulting Engineers of B.C., and the Municipal Engineers Division of the Association of Professional Engineers and Geoscientists of B.C. Artist Blog. This is write-up by artist Gillian MacMillan about a reception for Port Moody artists held in Gaetan's home in 2013. Called Artists Meeting Artists, the primary goal of this event was to connect, energize and grow Port Moody's vibrant art community. See Gillian's blog here. Strelka Institute. In 2013, while in Moscow on other business, the Strelka Institute asked Vancouver Councillor Heather Deal and Gaetan to make a presentation about urban planning. About 200 students, faculty, urban planners and Moscow officials were in attendance. The link to the presentation is here. Gaetan's half of the presentation starts at the 26 minute mark. 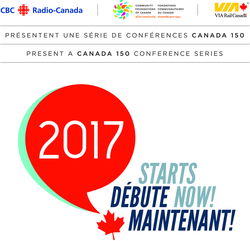 CBC Canada 150. Do we hear enough about Canada's 150th anniversary in 2017? Certainly compared with 1967 when Canada's Centennial was celebrated with Expo 67 in Montreal and events across the country, not enough is being done to mark 2017. Trying to set the stage for visionary ideas, CBC invited 10 Canadians to express their ideas. It was a privilege for Gaetan to be part of CBC's 2017 STARTS NOW Conference. Conference bio is here and speech is here. 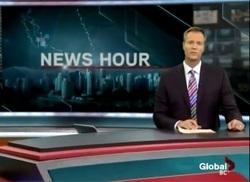 Global News Hour. Gaetan designed and built a sustainable home in Port Moody with the help of his wife Zoe Royer as the interior designer. Global News featured their sustainable home in a 3 minute video on the 6 o'clock news. This was part of an effort to promote the Buildex. The anchor man's opening line: "It's one of a kind. A home designed with the single goal of making it as sustainable as possible." Watch the news segment here. Vancouver Sun. Claudia Kwan, freelance reporter publishing as Polymediaathlete wrote an article about Gaetan's sustainable home. She says: "I’m drawing particular inspiration from Gaetan Royer, an urban planner/architect/engineer, who built an amazing house in Port Moody that’s challenging a lot of our ideas about what sustainability means." Pretty cool stuff. Her blog entry is here. Claudia' impressive three-page spread in the Vancouver Sun, covered the entire front page of the At Home section and included 9 large photographs. The article is now on Canada.com here. Vancouver Sun. Based on a careful review of regional parks, demographic growth and changing housing types (most of the growth is expected to condos with limited access to nature), Gaetan arrived at the inconvenient conclusion that Metro Vancouver's regional parks, already crowed in 2012, would be under significant stress. This was part of a report recommending doubling the funding to improve parks and provide open space for the region's growing population.“There’s a significant disconnect in the funding available and what our plans currently say we need in terms of land and trails and replacement buildings,” said Metro parks manager Gaetan Royer. Price Tags. 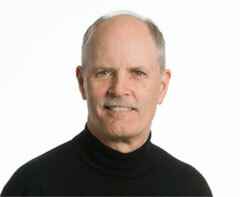 In an article titled Acknowledging the Elephant: Gateway’s impact on transit and regional planning, Professor Gordon Price, Director of the City Program at Simon Fraser University, says: "Finally … someone – in this case, Metro Planning manager Gaetan Royer – connects the dots, as quoted in the indispensible Novae Res Urbis today. He is referring to a presentation at a Forum on Metro Vancouver regional issues. Read more here. Western Investor. 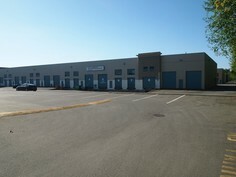 In 2011, significant attention was brought to the need to intensify the use of industrial land and stop building sprawling single-story buildings. "There's a finite amount of industrial land that's left," warned Gaetan Royer, manager of metropolitan planning, environment and parks for Metro Vancouver in 2012. "If we continue to build single-storey tilt-up concrete warehouses we're going to run out [of land] somewhere between 2020 and 2024." Some industrial agents voiced concerns that the shortage is even more acute than Gaetan's report indicated. The author of this Western Investor calls this shortage a myth. Read his opinion here. Continued pressure to remove land from the Agricultural Land Reserve and pave it over for industrial use proves that Gaetan's research was not too far off. Many urban planners and municipal thinkers agree that buildings like the one pictured above should have second, third and fourth floors accommodating light industrial and office use. This would help save the limited supply of industrial land. One New York City industrial complex has sports fields and community centre built on its multi-acre roof. Tri-City News. 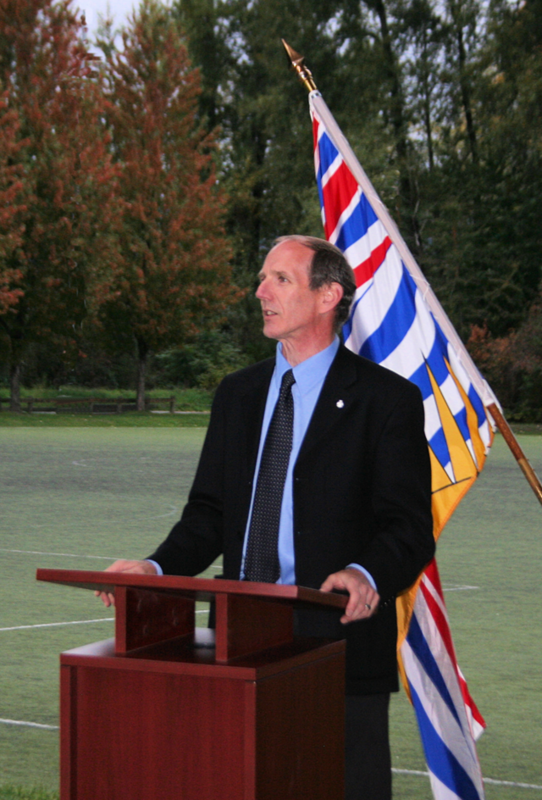 This article is the announcement of Gaetan's departure from the City of Port Moody to join Metro Vancouver. He continues to enjoy a great relationship with the good folks at the Tri-City News who are now helping us raise funds for the reconstruction of the Mossom Creek Hatchery. See the article here. Business in Vancouver. Following Gaetan's presentation to the Planning Institute of BC (PIBC), Business in Vancouver shared with their readers some of the options that Metro Vancouver planners had developed for the densification of industrial land use. Read the full article here. Gaetan was invited to make a presentation at the annual Federation of Canadian Municipalities (FCM) Conference to share our success at creating the first City-CPR Community Advisory Panel in Western Canada. 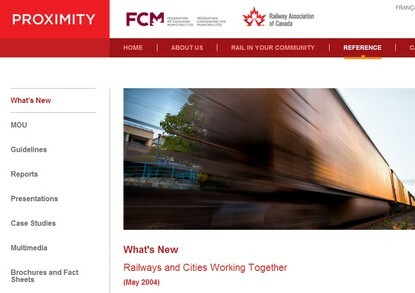 The text below is from a joint media release by FCM and the Railway Association of Canada. EDMONTON, May 31, 2004 - The site, www.proximityissues.ca, was launched at the Federation of Canadian Municipalities' annual conference. Mayor Joe Trasolini of Port Moody, City Manager Gaetan Royer, and Canadian Pacific Railway community relations manager Rick Poznikoff traced their efforts at dispute resolution through a case study. "There was a lack of communication, as much as there was good intentions, between the railway and the community at large. Port Moody is a city that relies heavily on community participation, tasks forces, and general public participation in civic government. The implementation of a Community Advisory Panel by both the railway and the city is what finally sweetened sour relations." Exchange Magazine, Local Government Management Association (LGMA). This article is from an interview with Gaetan Royer about how a CAO can best manage a well-informed election. See the article here (scroll to page 13 of the document).